Has the Court Killed the Trolls? Last week we cautioned that because patent law is exclusively a federal matter under the Constitution, the structural incentives triggering the explosion of patent litigation must be addressed at the federal level. As if on cue, the U.S. Supreme Court this week released a pair of opinions that could reduce the growing number of abusive patent claims. Together, these decisions expand the availability of attorney’s fees for prevailing parties and increase federal district courts’ discretion in awarding fees. Part of the difficulty in fighting patent trolls is the absence of any significant downside to filing infringement claims. Absent an effective opportunity for prevailing parties to recover their fees, patent trolls are able to extract settlements based on largely meritless claims. Federal courts always have discretion to award attorney’s fees to punish unjustified litigation, or other bad conduct that would violate Rule 11 of the Federal Rules of Civil Procedure. In addition, since 1951, federal district courts have also had the discretion under the Patent Act to award attorney’s fees in “exceptional cases” to the prevailing party. This fee-shifting mechanism has not been used as a penalty for simply losing a case; it has been used only when other indicia of bad faith or unfairness suggest that the awarding of fees is appropriate. However, the scope of the courts’ discretion to award fees was significantly constrained by more recent case law requiring both subjective bad faith and also an objectively baseless claim such that no reasonable litigant could believe it would succeed. The problem, as the Supreme Court observed in this week’s rulings, was that such a rule effectively limits fees to conduct that are independently sanctionable under Rule 11, rendering the fee-shifting provision largely superfluous. The Supreme Court on Wednesday rejected that limitation, holding that the “exceptional” case “is simply one that stands out from others with respect to the substantive strength of a party’s litigating position … or the unreasonable manner in which the case was litigated.” In a companion decision, the Court clarified that the district court awarding the fees will be upheld on appeal unless they have demonstrably abused their discretion. Together, these decisions have the potential to change the dynamics of patent trolling more effectively than the legislative initiatives pending in New Jersey and other states. 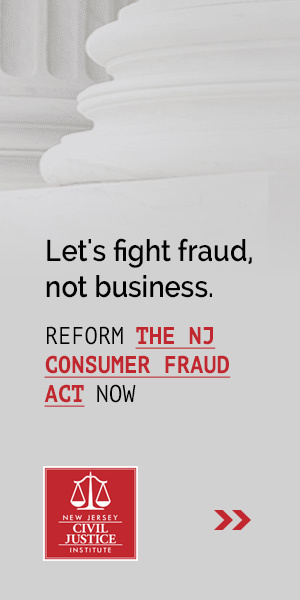 The behavior that would meet the “bad faith” standard found in NJ bill A2462 likely would meet the standard under the relaxed federal rule; the potential fees would actually be awarded by a court with the constitutional capacity to award them; and defendants should be able to find lawyers willing to take on the defense of meritless claims based on the reasonable likelihood of fee-recovery. A final thought: New Jersey has an abundance of statutes providing for one-way fee-shifting. NJCJI has observed on numerous occasions that such provisions distort incentives by encouraging largely meritless litigation to extract settlements. Following the lead of the Supreme Court, and legislatively expanding the availability of bilateral fee-shifting beyond actions that would be independently sanctionable, might be a useful step towards improving the civil litigation climate in New Jersey.